DiSimone Adjustment Bureau and it's fourteen subsidiary companies under the direct management of our President, Anthony T. DiSimone are entering our fifth decade of protecting insured's in insurance related claim catastrophes including hurricanes, fires, floods, windstorms, explosions, collapses, vandalisms, vessel sinking and fires, aircraft and airport related issues, income losses and other insurable property losses. Our companies have actively responded to assisting insured's around the United States and in Caribbean nations in the most devastating events from Hurricane Frederick in 1979 that devastated the Gold Coast of the Gulf States, Hurricane Hugo in the U.S. Virgin Islands, Hurricane Andrew in Florida, fire storms in California, Hurricane Katrina in Louisiana and Mississippi, and Super-Storm Hurricane Sandy. 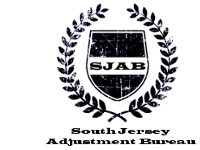 We are among the top five Public Adjusting experts. Our expertise includes a special seasoned team of experts drawn from around the nation to react to the needs of our clients when immediate action is required. Our forensic damage experts' augmented by associated specialists' professionals whose background and experience in every discipline is unrivalled. "Protecting The Insured For Over 45 Years"
We work only for you. AAPIA NJ - NY State Representative.